Sarah Nader- snader@shawmedia.com Prairie Ridge's Ryan Gilbert shoots during the first quarter of Saturday's home game against Grant January 3, 2014. Prairie Ridge defeated Grant, 64-42. Sarah Nader- snader@shawmedia.com Grant's Mikel Graves (left) guards Prairie Ridge's Matt Perhats during the second quarter of Saturday's home game against Grant January 3, 2014. 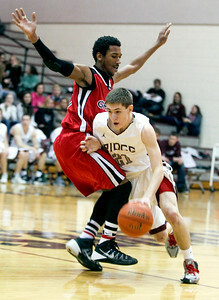 Prairie Ridge defeated Grant, 64-42. Sarah Nader- snader@shawmedia.com Prairie Ridge's Steven Ticknor (left) shoots during the second quarter of Saturday's home game against Grant January 3, 2014. 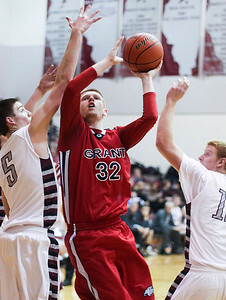 Prairie Ridge defeated Grant, 64-42. Sarah Nader- snader@shawmedia.com Prairie Ridge's Jack Berg (center) holds on tight to the ball during the third quarter of Saturday's home game against Grant January 3, 2014. 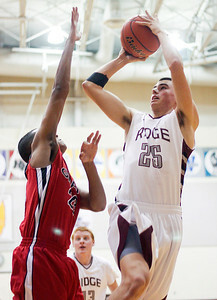 Prairie Ridge defeated Grant, 64-42. Sarah Nader- snader@shawmedia.com Grant's Steve Dunning shoots during the third quarter of Saturday's home game against Prairie Ridge January 3, 2014. Prairie Ridge defeated Grant, 64-42. Prairie Ridge's Steven Ticknor (left) shoots during the second quarter of Saturday's home game against Grant January 3, 2014. 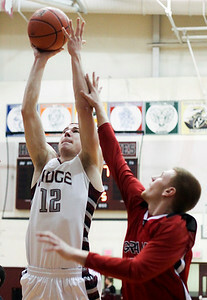 Prairie Ridge defeated Grant, 64-42.